The Anglian Red Rustic, manufactured by Ibstock, is a extruded/wirecut brick with a light texture which is red in colour. A high quality facing brick that is 100% recyclable at the end of their use. If you require any quantity other than 316, please contact us where we'll be happy to see what we can do. 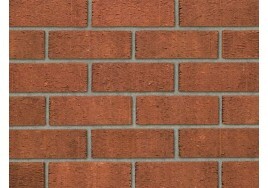 For full product details and specifications please see Ibstock Brick.